Sunil Chhetri (born 3 August 1984) is an Indian professional footballer who plays as a striker for Indian club Bengaluru FC and the Indian national team. 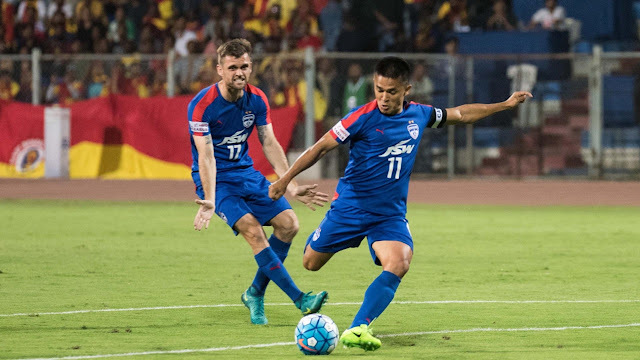 Chhetri began his professional career at Mohun Bagan in 2002. Because This player has scored more international goals after Cristiano Ronaldo and Lionel Messi. 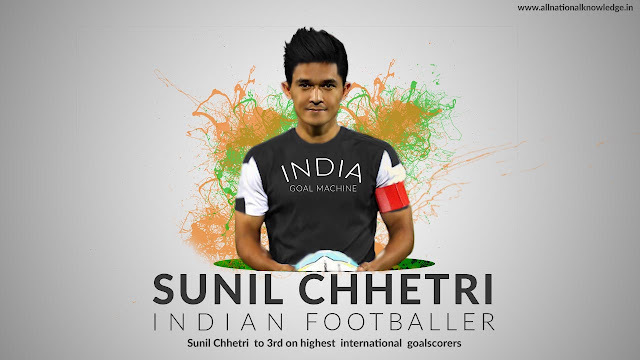 Chhetri overtook US international Clint Dempsey and drew level with David Villa, to climb to joint third on the list of the highest active international goal scorers in football.